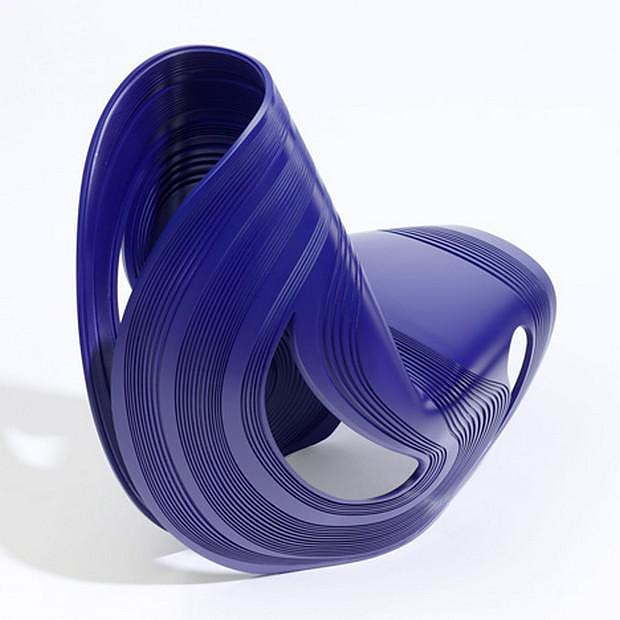 Zaha Hadid folded a round sheet of plastic to create the amazing Kuki Chair for Italian brand Sawaya & Moroni. Last April at the Milan Design Week (2013) the Kuki Chair was unveiled to the public. 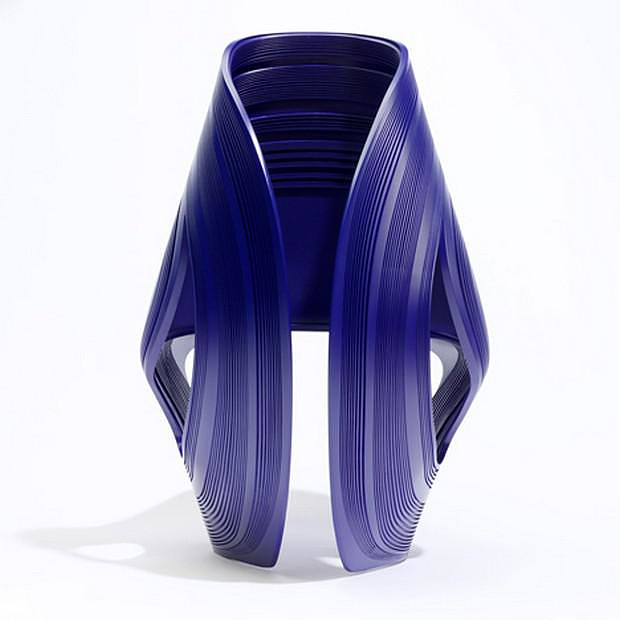 The Kuki Chair is characterized by its exceptional, individual design and the unique “organic-futuristic” style that distinguishes Hadid’s work, no matter the scale. 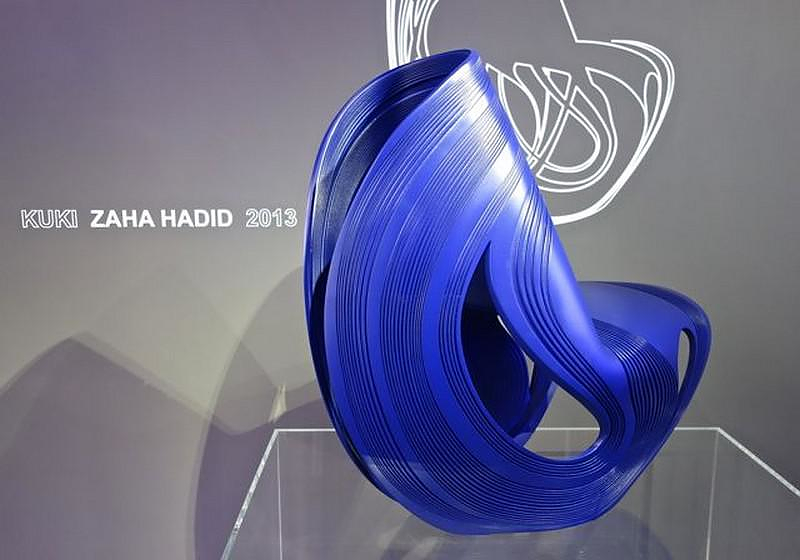 The Kuki Chair was revealed for the first time in the company’s showroom earlier this month, immediately after Zaha Hadid was awarded as “Female Entrepreneur of the Year” at Veuve Clicquot Awards in London. 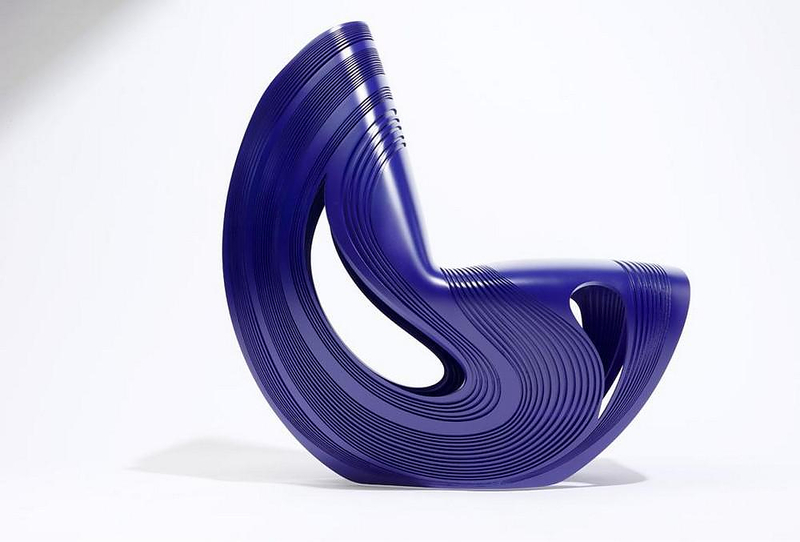 The amazing 3D design chair is created essentially from a single circular piece of plastic, folded almost to meet at its edges, and then bent in the middle in order to create the seat and backrest. The openings on both sides add complexity and levity on the set, while the edges touch the ground, ensuring the stability of the furniture. 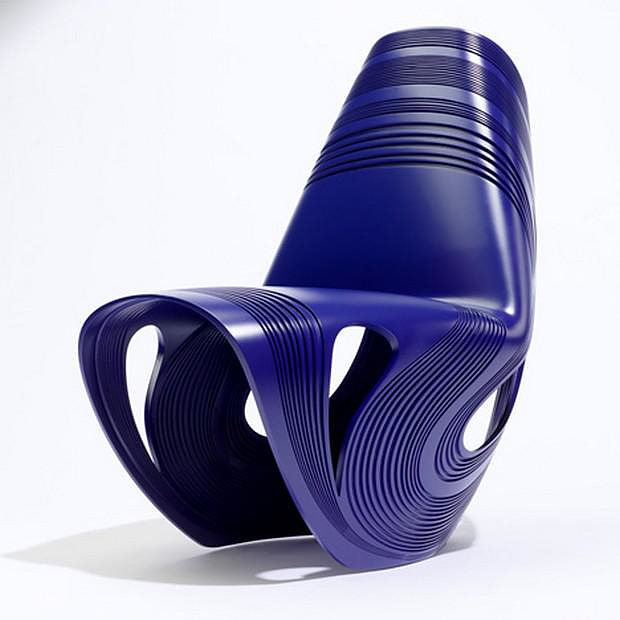 The innovative design combined with modern synthetic material and intense indigo color make Kuki Chair a spaceship-like piece, which looks like it just came out from a science fiction movie. With texture resembling the lines on an old vinyl record and a general shape resembling a “fortune cookie”, it stands out in any space and catches the eye. It is an excellent example of creativity and imagination, a representative example of the dynamic, futuristic design style of Zaha Hadid.